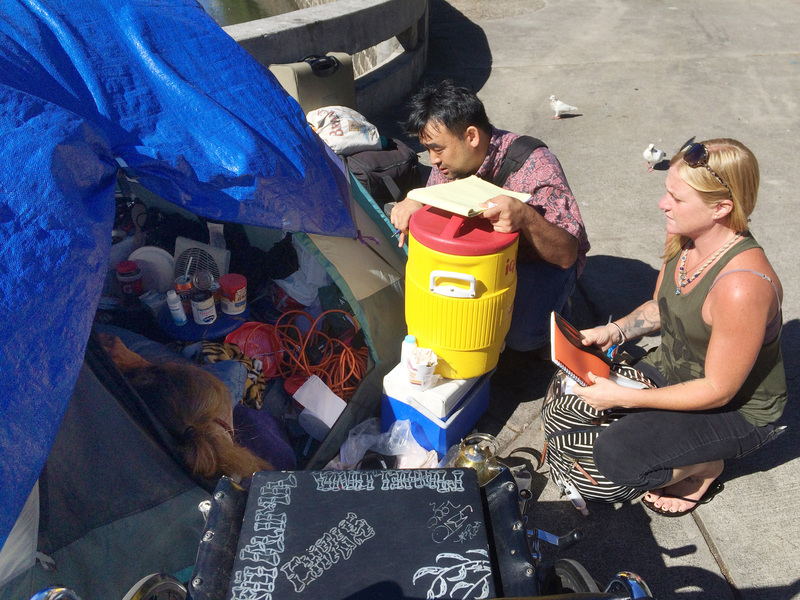 REACHING OUT: Homelessness coordinator Scott Morishige works with Nicole Bieneman of the CHOW project near Chinatown to help homeless individuals. Hawai‘i’s homeless population has decreased for the first time in eight years, according to the latest statewide survey. The annual Point in Time count – a census of people experiencing homelessness – showed a nine percent overall decrease in the number of homeless individuals across the state compared to the same period last year. The 2017 count found 7,220 homeless individuals across Hawai‘i compared to 7,921 in 2016. Hawai‘i County saw the largest drop at 32 percent, Maui saw a 22 percent decline and Kaua‘i County a seven percent drop compared to 2016. O‘ahu saw an increase of less than a half percent in the homeless number. A link to Point in Time’s report can be found at governor.hawaii.gov.